While our bloggers have been providing posts about Fort Wayne and Allen County history for about a year now, there is a more definitive work available for you to learn more about the history of this area. A two-volume history of Allen County was compiled and published in 2005 by the Allen County-Fort Wayne Historical Society and the Allen County Genealogical Society. The last definitive narrative history of Allen County was published by Bert J. Griswold in 1917. Though many pictorials and topical histories of Fort Wayne and Allen County have been published since the Griswold book, none have been as comprehensive and narrative in nature as the current work. Griswold published a second book in the 1920s. 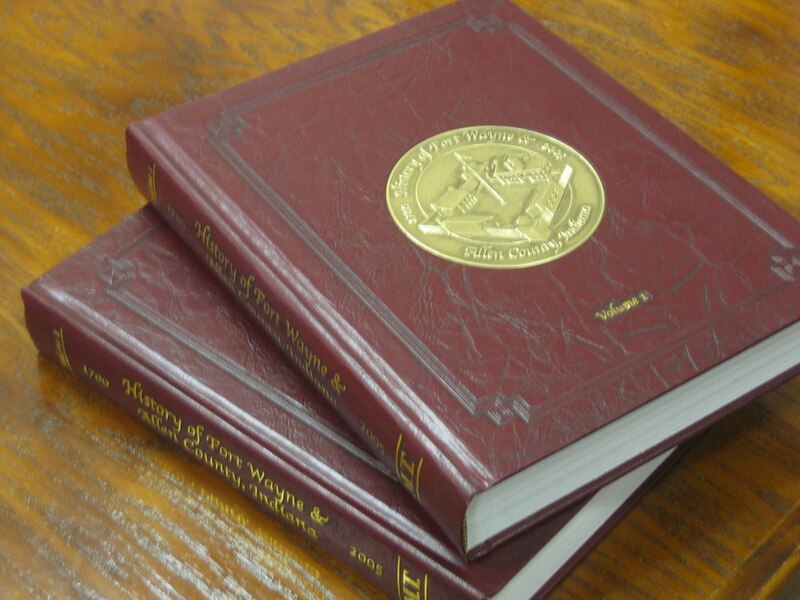 The two-volume work contains over 800 pages of county history as well as biographies of local families, churches, schools, organizations, and businesses. The book also features hundreds of historical photographs and documents. In an effort to compile the most complete history of Allen County possible, the Historical Society and Genealogical Society recruited a team of more than fifty literary volunteers to write articles on various aspects of the county's history. In addition, biographical submissions from local families, businesses, schools and churches, and clubs and organizations were encouraged. Now on sale for $89.95, the history is a fine addition to any home.